What is the Digimon Masters Online game? Digimon Masters is a free-to-play microtransaction supported massively multiplayer online role-playing game in a setting based on that of the Digimon media franchise, specifically the universe and characters of the fifth anime series, Digimon Data Squad (though many aspects of Digimon Adventure, Digimon Adventure 02, Digimon Tamers, Digimon Frontier and Digimon Fusion are incorporated). 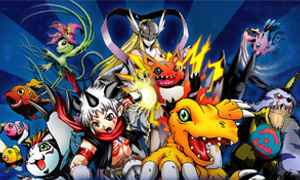 Digimon Master Online is an online video game on PC, adapted from a cartoon series of the same name in 2009. Movegames is the developing company game, who jointly published the game with Joymax. What is the gameplay in-game of Digimon Masters Online? Players will be given a DigiEggs at the beginning of the game, from which they will get their first Digimon as friends and battling partner. So, you are controlling your virtual Tamer to control your Digimons indirectly. You can grow your Digimons to Digivolution to enhance their skills and fighting power. In order to be a decent Tamer, you need to earn DMO Tera. Battling in DMO is in real-time pattern, Digimons use special attacks or standard attacks to defeat adversaries. All Digimons have their unique evolution tree, to perform that you need to complete an evolution quest. How can i quickly earn Digimon Masters Online (DMO) Tera? You can obtain DMO Tera through finishing the task in-game, but the way is too slow, which will send more time on it. We strongly recommend you to Buy Digimon Masters Online Tera from Joymmo.com online store to get the Cheapest DMO Tera, more than 10 years' DMO currency selling experience that wins many customers satisfied.